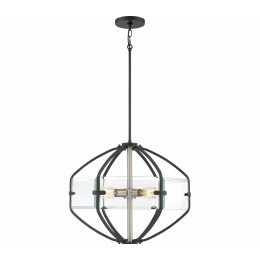 A broad spectrum of metal, color and glass are a spectacle to see with the Vessel Series. 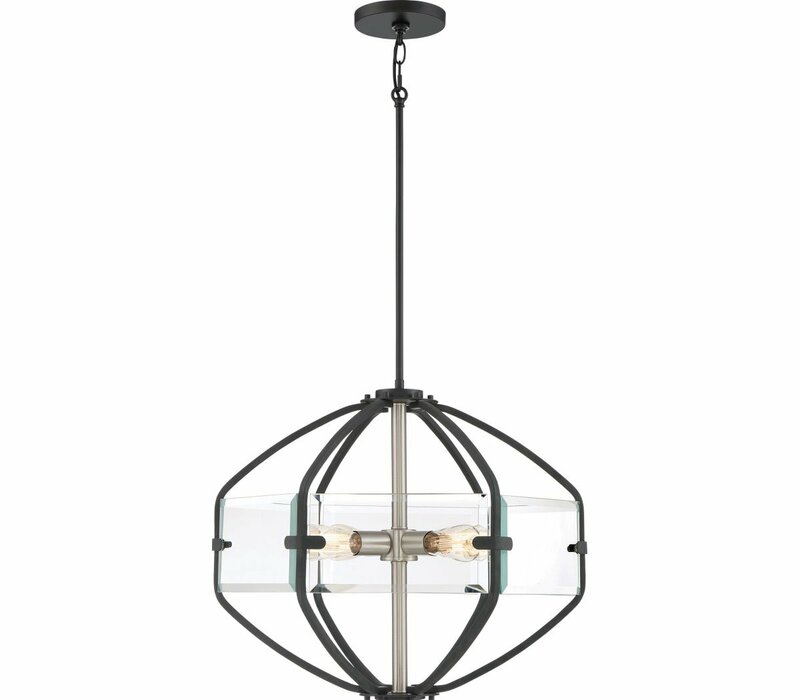 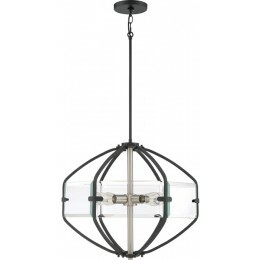 The deep earth black finish on the oval fixture body embraces oversized clear beveled glass panels on all sides. 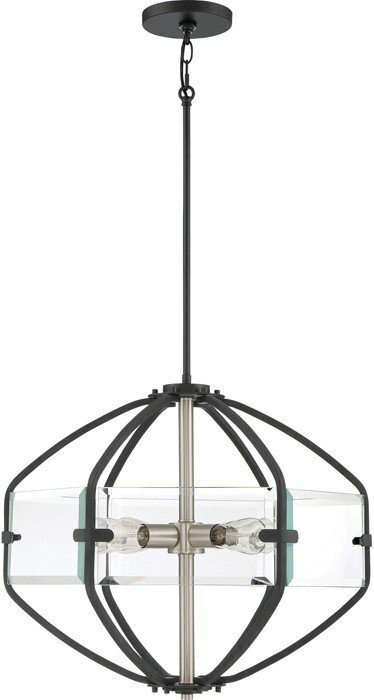 The center stem and sockets are finished in brushed nickel adding another layer of depth to this exciting fixture.